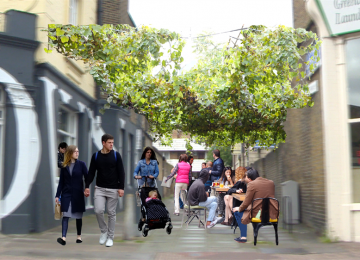 East Greenwich Residents Association wants your help to green Trafalgar Road, the only route between Greenwich Park and the River that leads to the Blackwall Tunnel. This project was funded on 15 Sep 2015! It suffers from lack of investment, traffic congestion and poor air quality. 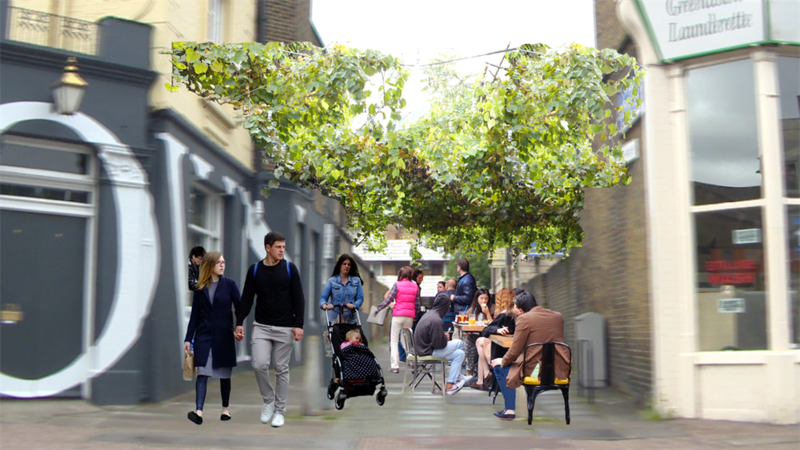 The pavements are too narrow for outside seating and many shops have cellars so that planting trees is impossible. The high street is dominated by cars and trucks, making it less inviting for local residents and the shops are suffering. There are lots of street barriers, unused street pavements and some unwelcoming alleyways along Trafalgar Road. 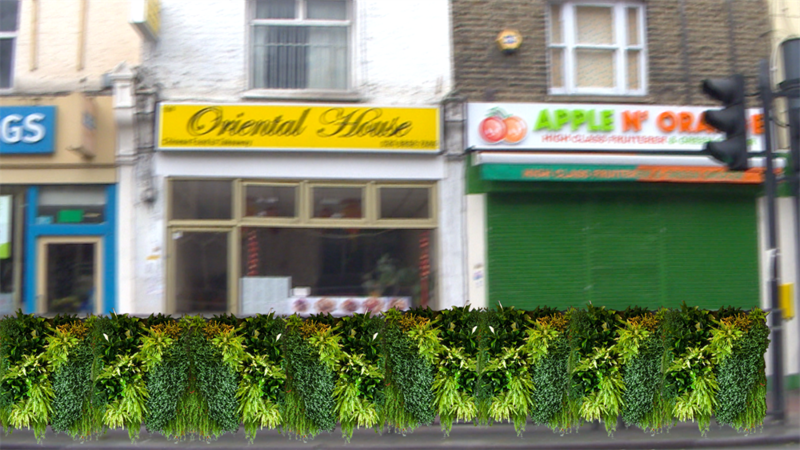 We want to use these to add plants and draw people to the high street. With funding we could cover the street barriers with plants and turn a neglected alleyway into a seating terrace with a green canopy. 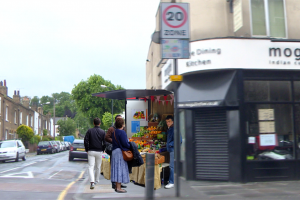 We also want to encourage street stalls that used to be on Trafalgar Road to return. More investment is needed to improve our high street, but we see this as an opportunity for local residents to start the first phase of bringing much needed improvements to Trafalgar Road. 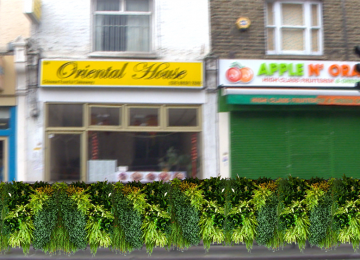 Adding plants on Trafalgar Road will help us to improve the air quality of our high street and its general appearance. By covering the street barriers which have strong associations with roads and cars, it will help to reduce their dominance over our high street. 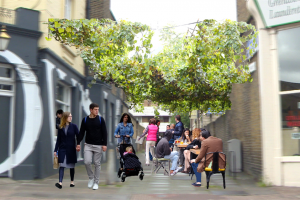 Using alleyways and available spaces in between buildings will allow comfortable seating areas off Trafalgar Road, livening up the street with people. 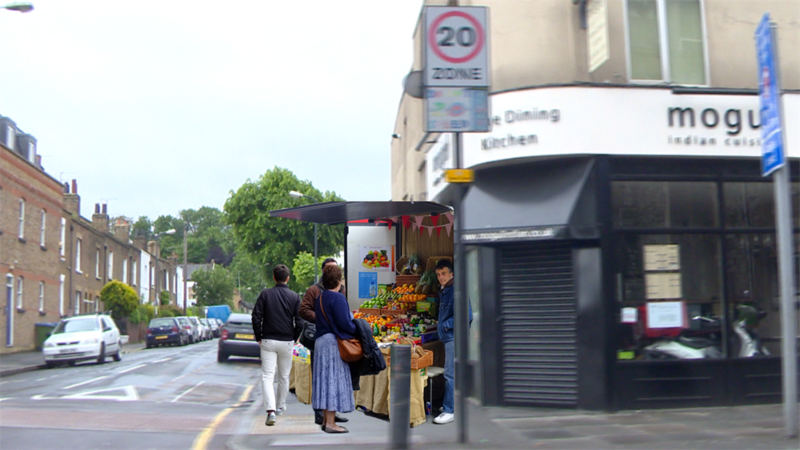 Street stalls will bring activity to the high street allowing it to be much more than a means of getting to somewhere. Green Trafalgar Road is about getting the ball rolling and encouraging major improvements on our high street. 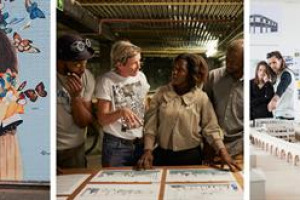 We want to turn it into a place for people and the community. If we can reach £6,250, we will be in the running to receive funding from the Mayor. 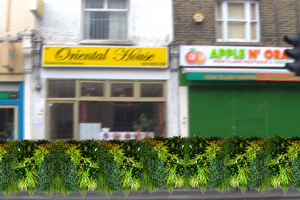 If we can reach £25,000 by the 31st of August, we will be able to green Trafalgar Road. East Greenwich Residents Association is a community group which represents the views of the local community and ensures that its voice is heard. If you are a local resident and would like to join us to improve and shape the area, we would be delighted to hear from you. 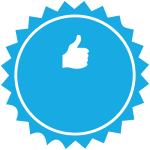 East Greenwich Residents Association is a local community group which helps promote and improve the social, economic and environmental wellbeing of residents in East Greenwich. 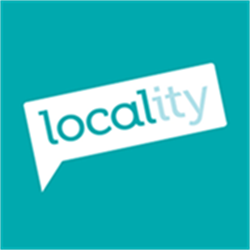 We represent the views of the local community and we ensure that its voice is heard as part of the development of the area. If you are a local resident and would like to join us to improve and shape the area, we would be delighted to hear from you. Project Delivery Manager: East Greenwich Residents Association The Project Delivery Manager takes legal responsibility for receiving and spending the funds raised and ensuring the project is delivered. Contractor: CJS Plants Limited The team responsible for building or installing the project.